Weaveworks, the makers of the Weave Net container network interface, has updated its software to support the recently-launched Kubernetes 1.2 container orchestration tool. By using the native Weave Net networking plug-in, Kubernetes users now have several new capabilities, including the ability to set up micro-SDN (Software Defined Networks) and the ability to multicast information to large numbers of containers simultaneously. Weaveworks is one of a number of companies attempting to extend container management out to the networking layer with management software, which, according to analysts, will be instrumental as containers move into production. “Container deployments are typically driven by application and architecture teams that desire infrastructure invisibility — they want to develop without having to understand the constraints of the physical infrastructure underneath,” wrote Gartner analysts Andrew Lerner, in a report on container networking technologies. “These teams want their application to work the same way throughout the development stages. Containers, by default, can be run on a laptop and require no changes to the underlying network. In this space, Weave Net competes with the likes of CoreOS’es Flannel, Project Calico, Docker’s SocketPlane technology, and OpenStack’s OVN. Weaveworks claims to offer the only container networking software that can fully emulate a layer two network, including the multicast packet replication used by Ethernet to address all the nodes on a network. In multicast, data from a single source can be sent simultaneously to multiple sources, which is useful for communicating and sharing data with multiple end-points. “When used as the networking layer for Kubernetes, Weave Net now allows containers running on a Kubernetes cluster to send and receive multicast feeds,” explained Mathew Lodge, chief operating officer at Weaveworks. One early user of the technology was able to stream 800 Mbps, enough to stream 28 high-definition movies concurrently, according to the company. 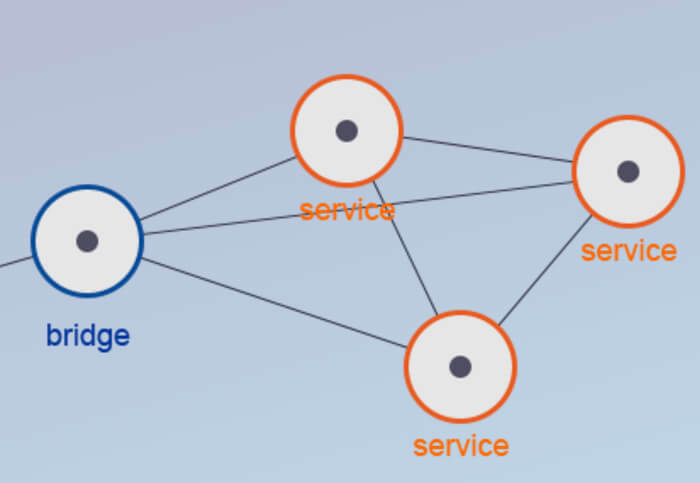 With this new capability, Weaveworks is extending the addressable market of Kubernetes to financial services applications that depend on multicast networking. “It’s common for financial services applications to use multicast networking to distribute key information such as market data feeds. Examples include NYSE and NASDAQ market data feeds, as well as many proprietary bank trading applications,” said Lodge. For instance, the International Securities Exchange (ISE) “Anywhere Exchange” uses Weave Net to carry multicast market data feeds to redundant copies of ISE’s exchange, running in containers at AWS and in its own data centers. How the International Securities Exchange ISE uses Weaveworks alongside the other technologies. For hybrid cloud users, Weave Net 1.5 creates a simple flat virtual container network with no centralized database, therefore, it can be used to build hybrid cloud container deployments where applications span private data centers and public clouds. Weaveworks is also making Weave Net faster to restart when things go wrong after host failures and reboots, an essential part of improving recovery time and resiliency for container clusters. 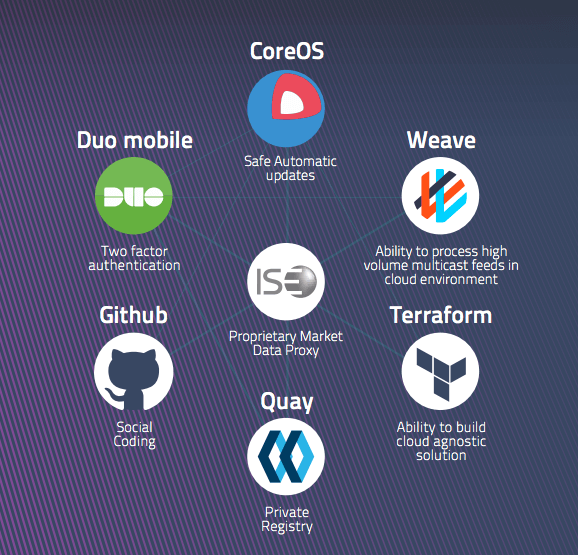 CoreOS, Docker and Weaveworks are sponsors of The New Stack.